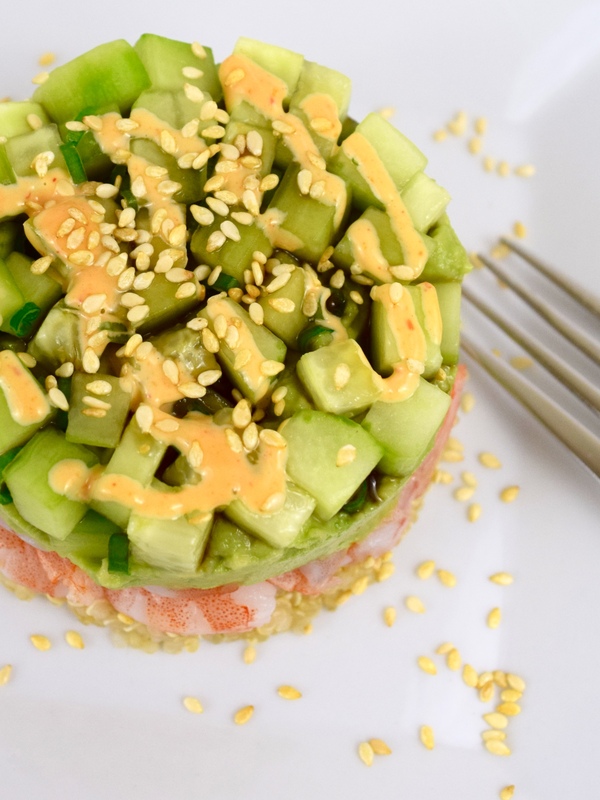 The other day when I was checking out my Pinterest feed, I came across a pin by Skinnytaste for “Spicy California Shrimp Stack.” I decided to try it out for Sunday dinner, since I already had the all the ingredients in my refrigerator and pantry. 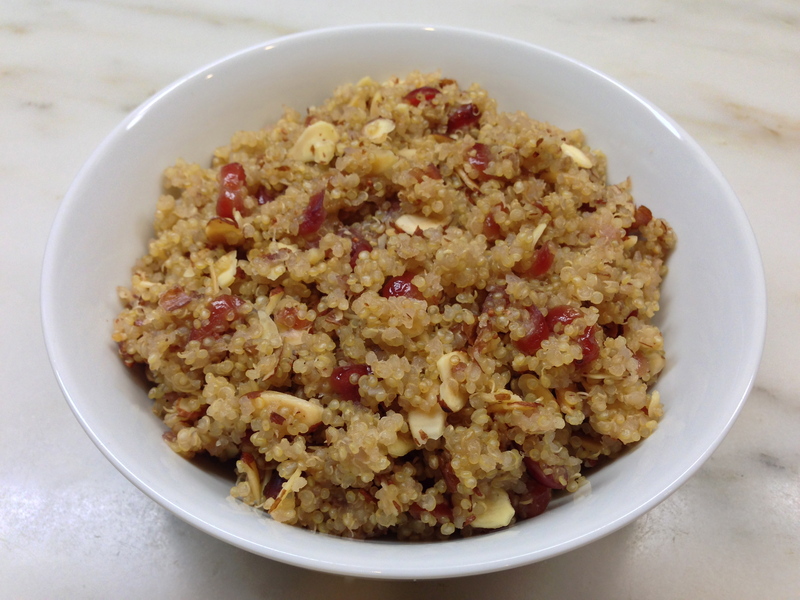 As usual, I made some changes to the original recipe by using the whole grain, quinoa, instead of brown rice. I also substituted green onions for chives. I found out by cooking the quinoa a little bit longer with additional water, it made the quinoa “stickier.” Not only did the quinoa worked great, but it was a healthier choice. I liked using ramekins, instead of a measuring cup, because I could make several at one time, making it easier to plate. 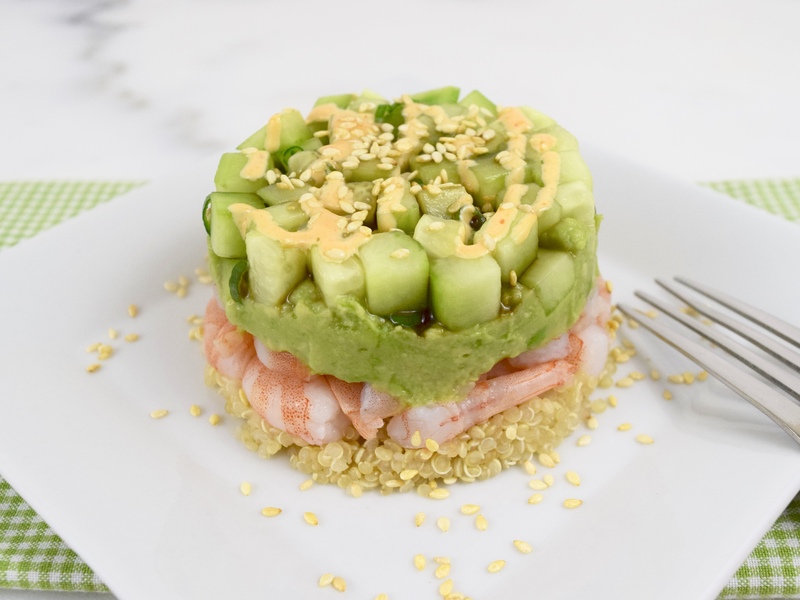 My Spicy California Shrimp Stack with Quinoa was a big hit with my husband! He said that it is just as good as the one we order at the Yardhouse restaurant. So if you are looking for a dish that is pretty easy to make, fantastic to eat and has the “wow” factor, you need to prepare this! Bring 1 cup + 2 tablespoons water to a boil. Add quinoa and bring to a boil. Cover and simmer until water is gone. Add 2 tablespoons water and stir. Cook until all water is gone. Stir in rice vinegar. 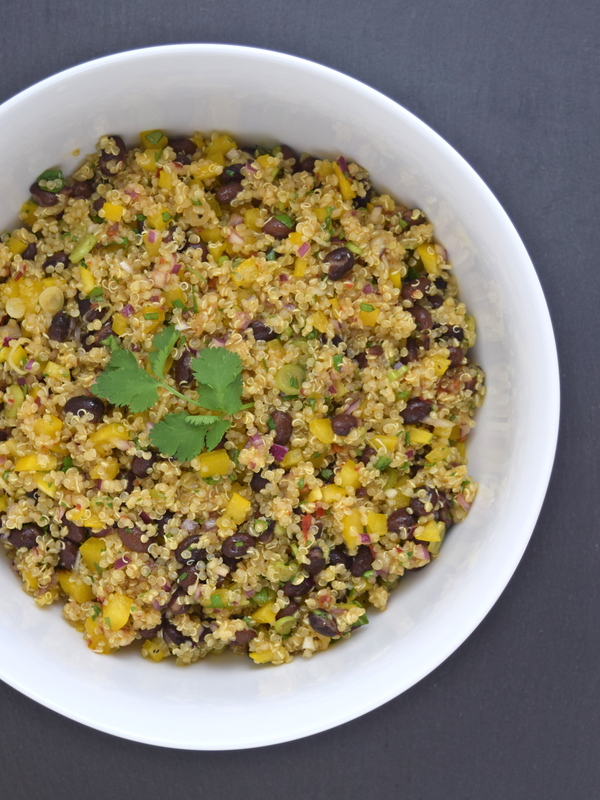 Spread quinoa on a plate to cool. Using a small bowl. 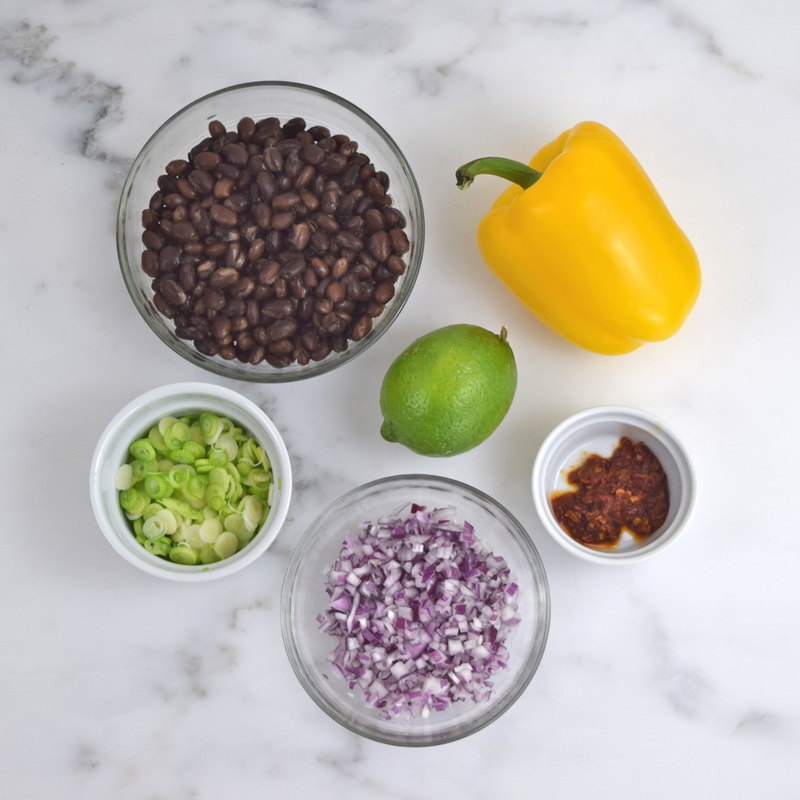 mix together the cucumber and green onions. In another small bowl, thoroughly blend the mayonnaise and Sriracha sauce. 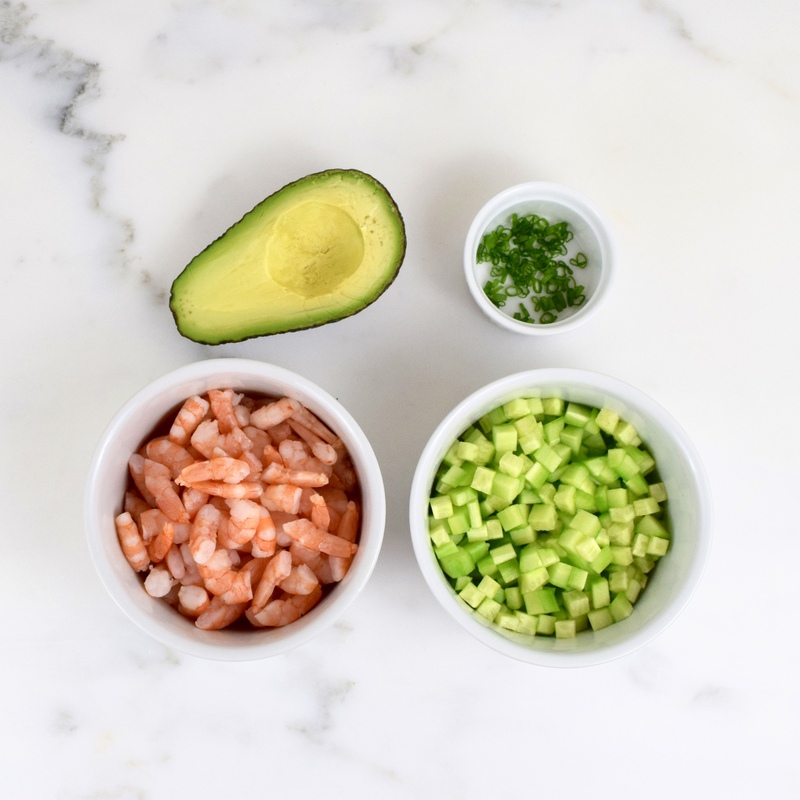 Using a 3½-inch ramekin, layer ¼ cup cucumber, then 2 tablespoons avocado, ¼ of the shrimp and enough quinoa to full the remainder of the ramekin. Place a plate upside down on top of the ramekin. Lightly tap the bottom and sides of the ramekin. Carefully lift off the ramekin. This can be tricky and if you are having problems, insert a small knife along the edge to help “release” the stack. 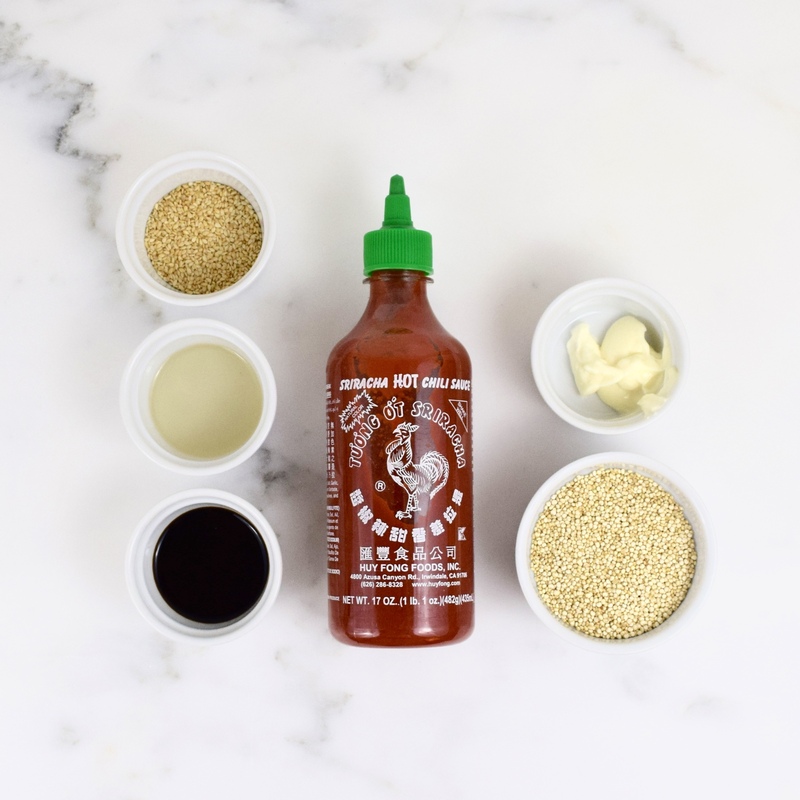 Put the Sriracha mayonnaise and soy sauce in separate small squeeze bottles and drizzle on top of the stack. Sprinkle with sesame seeds. Repeat 3 more times. 4 servings. I never had quinoa until my daughter bought it over a year ago. Now, I am frequently cooking and searching for quinoa recipes. 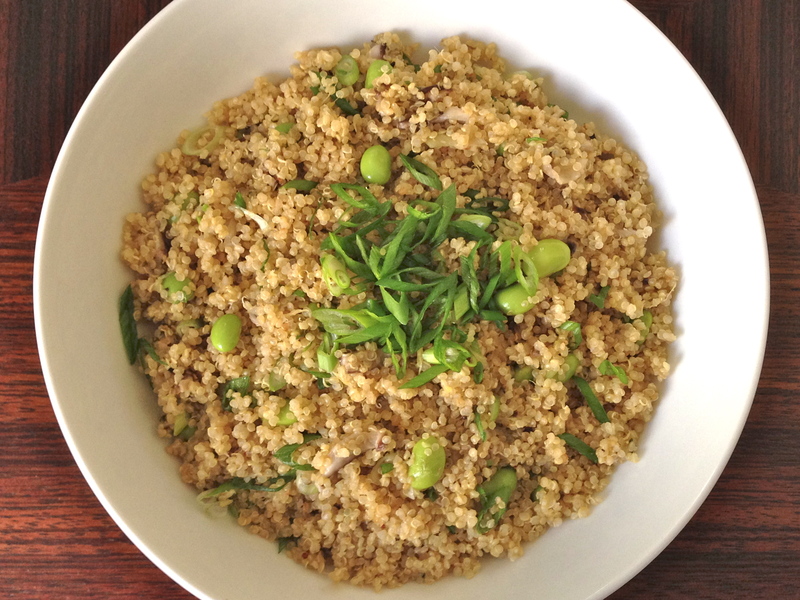 My inspiration for this delicious and healthy dish came from Cook’s Illustrated, “Quinoa Pilaf with Shiitakes, Edamame, and Ginger,” published January/February 2014. It has a wonderful nutty taste with a hint of ginger. I made several modifications to the original recipe. 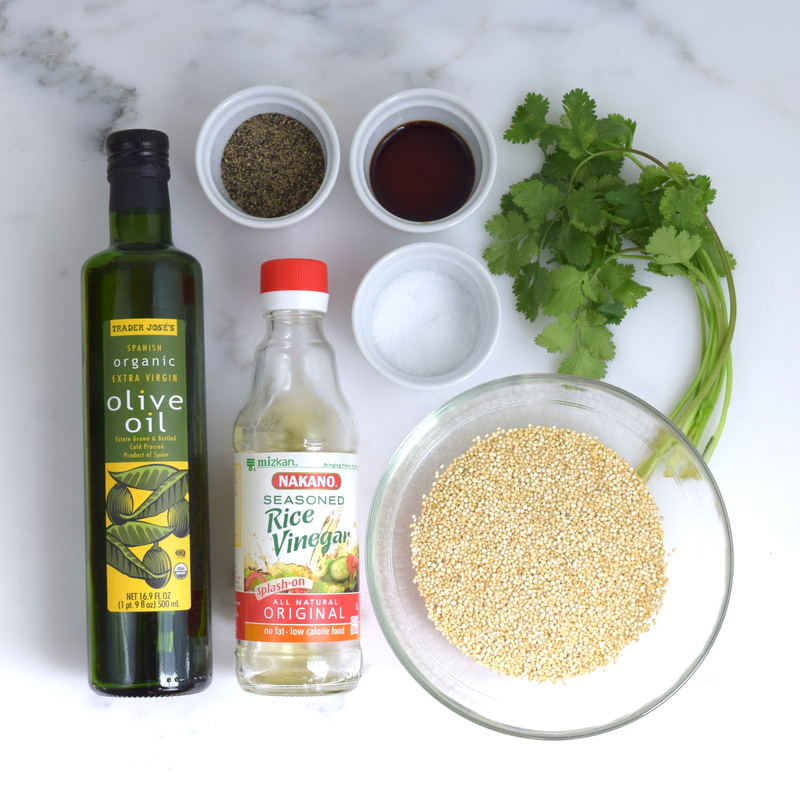 Stirring frequently, toast the quinoa in a medium saucepan over medium heat, until quinoa is fragrant and makes popping noise, about 5 to 7 minutes. 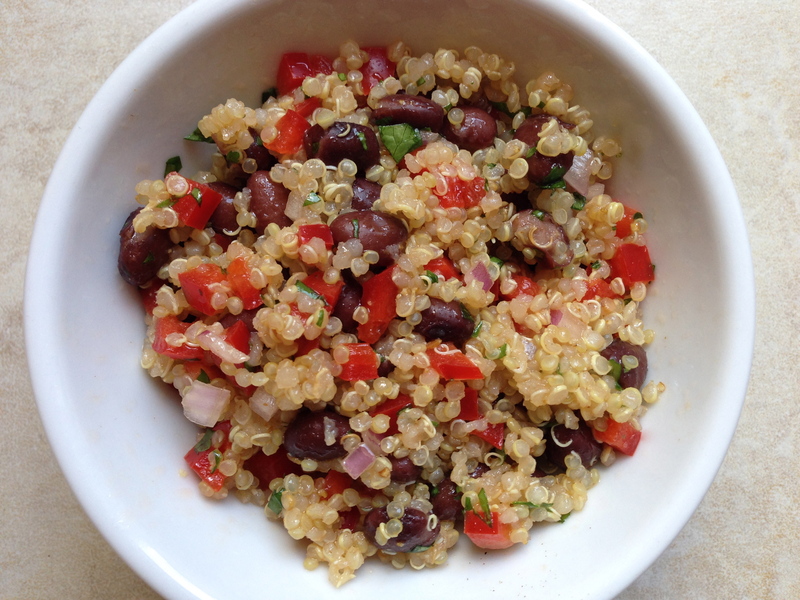 Transfer quinoa to a bowl and set aside. Heat oil in the now empty pan over medium heat. Add scallions whites, shiitakes and ginger. Stirring often, cook until tender, about 5 minutes. 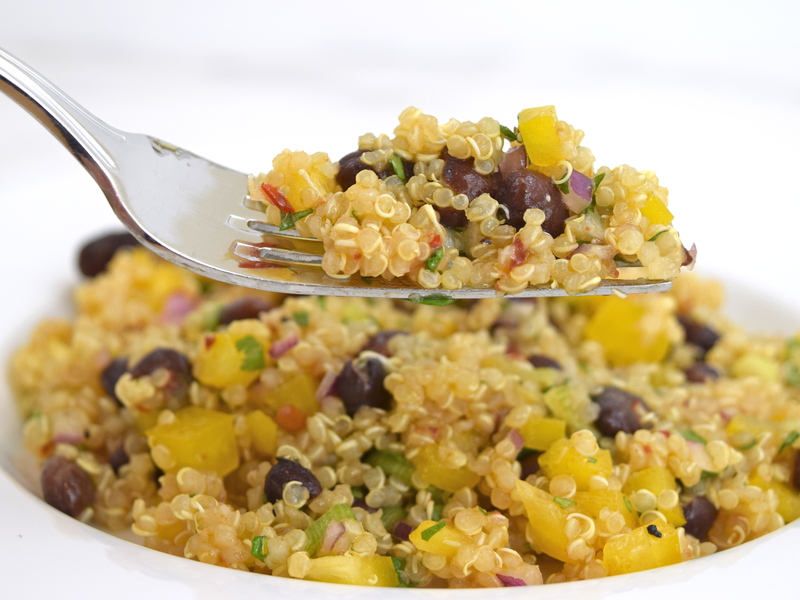 Increase heat to medium-high, add liquid and quinoa. Stir well. Bring to a boil, then cover and reduce heat to a simmer. Cook for about 18 to 20 minutes, stirring once half-way, until liquid is absorbed. Remove from heat, add edamame and salt to taste. Let it sit for 10 minutes. Fluff with a fork and stir in vinegar and scallion greens. Blogger’s note: I had some leftover chicken stock that I didn’t want to waste, so I used a combination of stock and water.